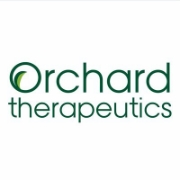 UK-headquartered Orchard Therapeutics has raised $150m in a series C financing to progress its gene therapy pipeline. 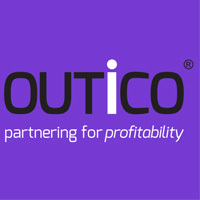 The proceeds will be used to fuel the progress of Orchard’s three most advanced clinical programmes: OTL-101 for adenosine deaminase severe combined immunodeficiency (ADA-SCID), OTL-200 for metachromatic leukodystrophy (MLD) and OTL-103 for Wiskott–Aldrich syndrome (WAS). The company acquired OTL-200 and OTL-103 from GSK in April this year, when the big pharma company decided to exit the rare disease field, along with Strimvelis, the already-approved ‘bubble boy’ disease treatment. Orchard’s other lead candidate, OTL-101 is a next-generation version of Strimvelis. The biotech firm believes it can make both these drugs a commercial success, in contrast to GSK’s modest revenues from Strimvelis to date. The financing was led by Deerfield Management, with significant new investments from a host of other investors, including RA Capital Management, Venrock, Foresite Capital and Perceptive Advisors. Led by president and CEO, Mark Rothera, Orchard, is part of a booming gene therapy sector which has seen investment pour into it in 2018. Japan’s Astellas Pharma is to acquire UK-based gene therapy company Quethera for $85m. The Cambridge-headquartered company is focused on developing novel treatments for ocular disorders, such as glaucoma. The acquisition is an early-stage buy-out, as Quethera has no candidates in the clinic yet – illustrating just how much the gene therapy field is heating up in terms of mergers and acquisition. Quethera's ophthalmic gene therapy programme uses a recombinant adeno-associated viral vector system (rAAV) to introduce therapeutic genes into target retinal cells for the treatment of glaucoma. Its lead pre-clinical candidate has demonstrated significantly improved survival of retinal ganglion cells (RGCs) in pre-clinical models. 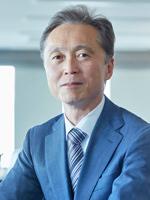 "This acquisition demonstrates Astellas' commitment to proactively incorporate state-of-the-art scientific and technological advances and turn them into value for patients," said Kenji Yasukawa, Ph.D., who took over as president and CEO of Astellas in February. "We believe the rAAV programme has potential as a new therapeutic option for the treatment of refractory glaucoma through an intraocular pressure (IOP)-independent mechanism. It would address a high unmet medical need in glaucoma patients who are at risk of losing their eyesight." The buyout represents a growing trend among Japan's big pharma companies to spend on M&A, driven by a stagnating domestic market. The most notable example of this is Takeda's $62bn acquisition of specialist pharma company Shire. Amicus Therapeutics has received FDA approval for Galafold, the first oral therapy for the rare Fabry disease. The rare, sometimes fatal condition involves a damaging build up of fat in certain organs. Galafold (migalastat) will be the first new Fabry treatment on the US market in more than 15 years, and will compete with Sanofi’s infusion-based Fabrazyme treatment. The drug is already approved in other major markets, including Europe, Japan, Australia and Canada. Galafold is a long-term treatment for adult patients with specific genetic mutations. This represents around 35-50% of the 10,000 diagnosed Fabry patients worldwide - an estimated 3,000 of whom are in the US. The company’s CEO John Crowley told Reuters that the drug would be competitively priced with the existing treatment. “If we’re going to have more medicines for people living with rare diseases, we’ve got to bend the cost curve,” Crowley said. The positive FDA decision is a welcome reversal of fortune for the company: the FDA had told the company it needed additional clinical data on Galafold’s gastrointestinal impact, but waived this demand in July. Reuters' own analysts forecast that Galafold could see its revenues reach $171 million in 2019, and could seize market share from Fabrzyme rapidly if priced at the same level – Fabrazyme achieved sales of $838m in 2017.